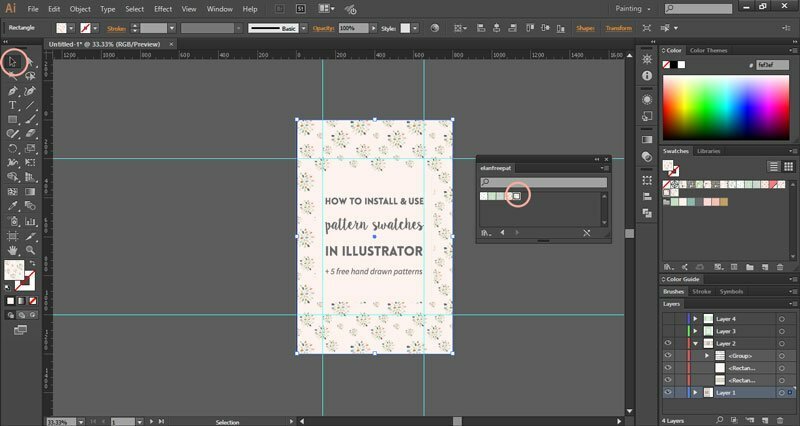 How to install and use pattern swatches in Illustrator ~ Elan Creative Co.
You just bought a new set of patterns for Illustrator. You open them and there’s just a blank artboard. If you’re new to pattern swatches, you’re probably going to tell the seller that they’ve sent you a bad file or even ask for a refund. Since I love using them, I didn’t realize that there are so many people that are not familiar with them. This is why I want to show you how to install and use pattern swatches in Illustrator. If you haven’t bought any patterns lately, you can download this pattern swatch that has 6 hand-drawn patterns that you can use for your blog’s graphics or illustrations. Unzip your new patterns by right-clicking on it and choosing “Extract” or by using a free unzip software like 7-Zip. There are two ways to install a pattern swatch. First, locate your swatch file. Adobe Illustrator pattern swatches have a .ai extension, which is the extension of almost all Illustrator files. You can easily open the file by double-clicking on it. This is where it gets confusing for some users because they might find a blank artboard or an image with just one pattern. If you look at the Swatches panel (Window > Swatches), you will notice that the color swatches are replaced by patterns. This is not the best way to open them if you want to add a pattern to your artwork. Create a new document or open the files you want to edit and go to the Swatches Library menu to install the pattern swatches. Go to Other Library and find the pattern swatch you want to use. A new swatch library will pop up. It will have all the patterns you’ve downloaded and sometimes it might also contain color swatches or groups. You can click on the patterns to add them to your Swatches panel. The pattern library only allows you to view the pattern collection. So you will have to move them to the Swatches panel in order to add new patterns to the collection or delete existing ones. Now that you know how to install your pattern swatches, it’s time for the fun part. Using pattern swatches is just as easy as using color swatches and they are a great way to give your designs a unique look. If you want to add patterns to your blog’s featured images, you just have to select the background using the Selection Tool (V). Then go to the Swatches panel and click on the pattern you want to use. Deselect the shape by clicking on the gray area outside your artboard or try another pattern. You can add patterns to any shape, not just to rectangles or circles. 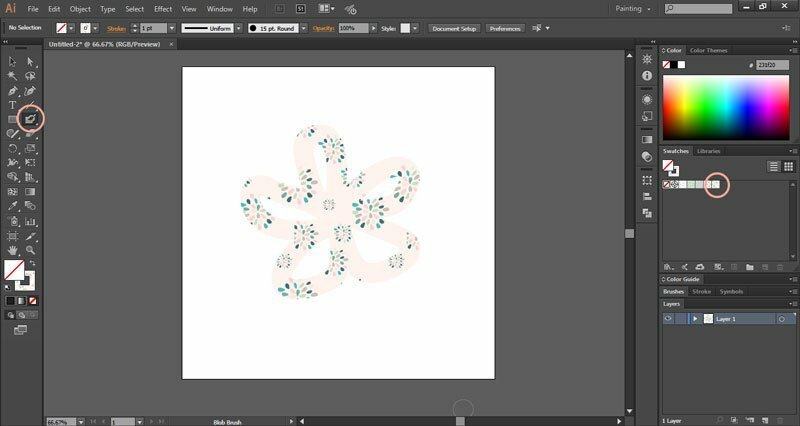 Just draw a shape using the Brush tool or the Pen tool and apply a pattern to it by clicking on your favorite pattern from the Swatches panel. 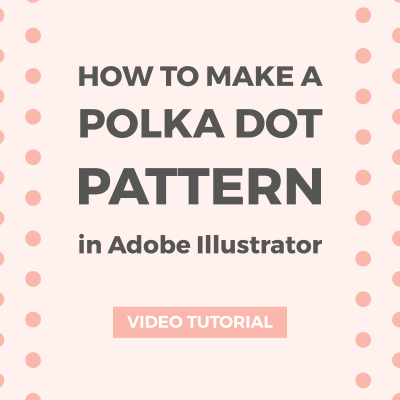 Since pattern swatches work just like color swatches, you can even draw using a pattern instead of a solid color. Why the Blob Brush? Because it’s the most amazing Illustrator tool, especially if you like drawing using a tablet. 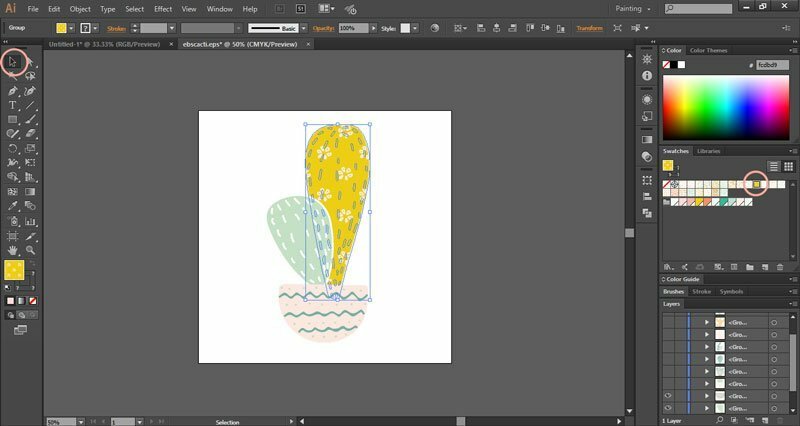 It helps you create solid vector shapes or fill out the background of sketches that don’t consist of closed paths. Select the Blob Brush (Shift + B) from the Tools panel and double-click on it to open the Settings. You can adjust the size and roundness of the brush. Set the Fill color to none and use your favorite pattern for the Stroke. Now all you have to do is draw. You don’t have to hold down the mouse while creating the entire shape. As long as you keep the same pattern or color, each shape you paint will be added to the first. 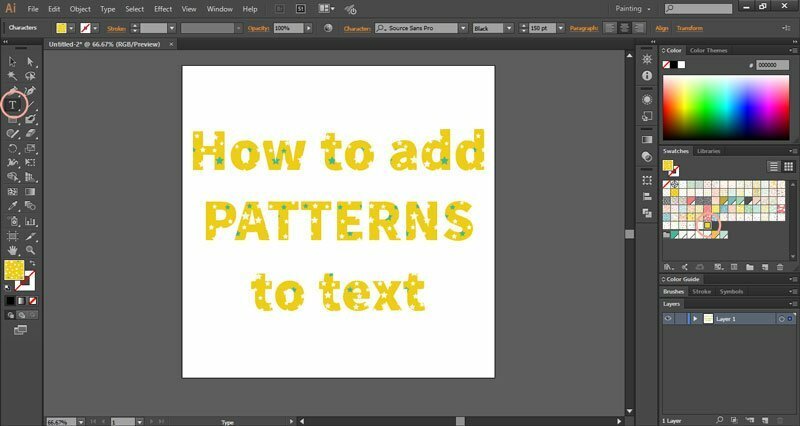 If you want to add a fun pattern to your text, select the Type tool, click on your artboard, use your favorite pattern as the Fill color and start typing. That’s it! 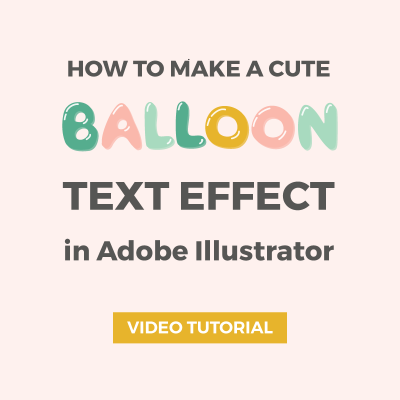 You don’t have to use clipping masks anymore, but make sure that you use a font that’s easy to read and a pattern that’s not too busy. 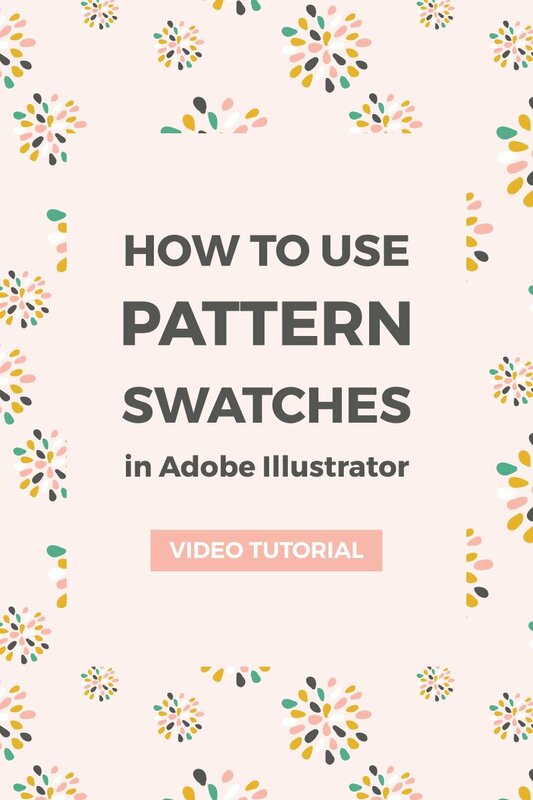 Do you use pattern swatches in Illustrator? 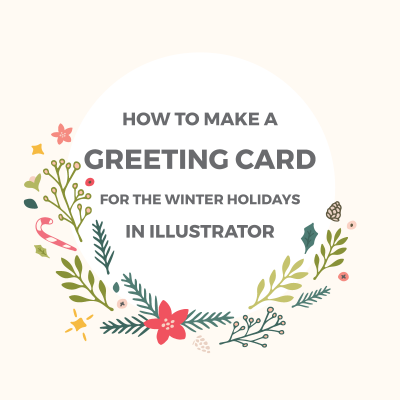 Thank you for your tutorial! I am trying to follow along with your sample pattern swatches, but it is not working for me in CS6. 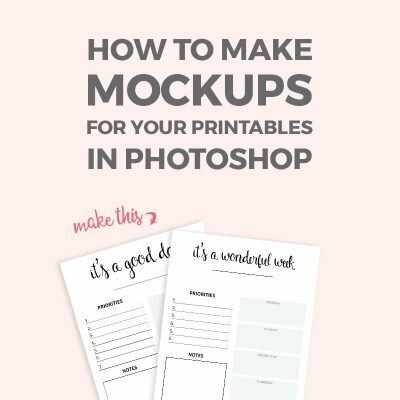 Will this maybe only work for CC? I’m glad you like it, Ashley! The file should work with older versions of Illustrator. I’m not really sure why it doesn’t open. Can you see the pattern swatches that come with AI? You can find them under the Swatches Libraries Menu > Patterns. I’ve added a new file with swatches that were saved for CC, CS6, and CS5. Please let me know if they work. Thank you for trying to help me! 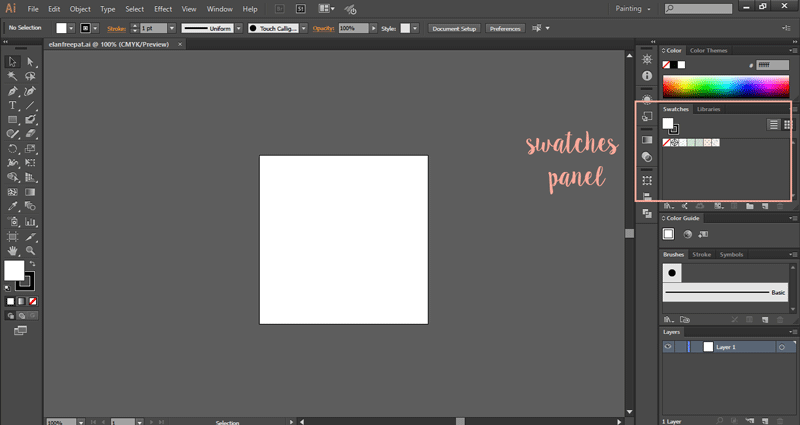 I re-downloaded the swatches, added the file to my swatch library, but when I open the library the patterns still fail to show up. I have pinned all of your other tutorials though and will try my hand at some without patterns next. Really liking your site, thank you! You’re welcome, Ashley! Sorry to hear that. I don’t use the “Create PDF Compatible File” option when saving because the files are larger than regular AI files. Also, that’s only needed if you want to open the files in InDesign or Acrobat, but Illustrator pattern swatches are not compatible with other Adobe apps. Maybe you should install Illustrator again. That’s often a good solution for bugs. Thank you! This has just about pushed me over the edge to upgrade to Adobe CC. 🙂 I’m noticing more and more lately that CS6 just isn’t going to cut it! Hi Sandy! I’m going to publish a new post and video on saving patterns on Friday. I will also talk about making pattern collections. 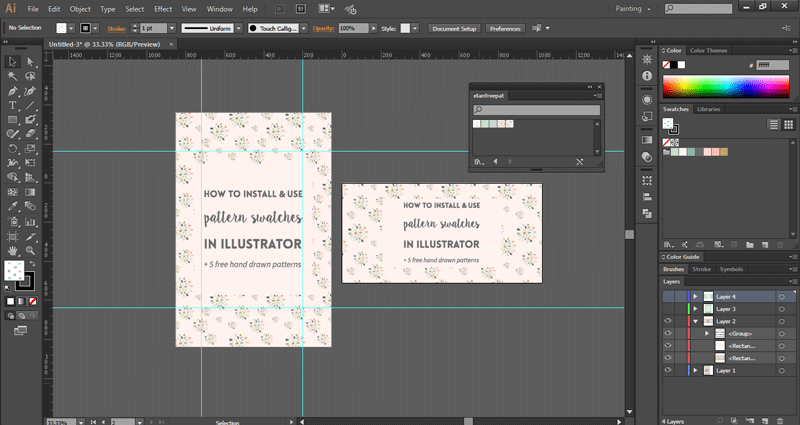 Meanwhile, you can read the posts I have about seamless patterns (https://www.elancreativeco.com/seamless-patterns-using-pattern-tool-illustrator/ and https://www.elancreativeco.com/how-to-create-a-repeat-pattern-in-illustrator/). They both show how to add patterns to the Swatches panel.